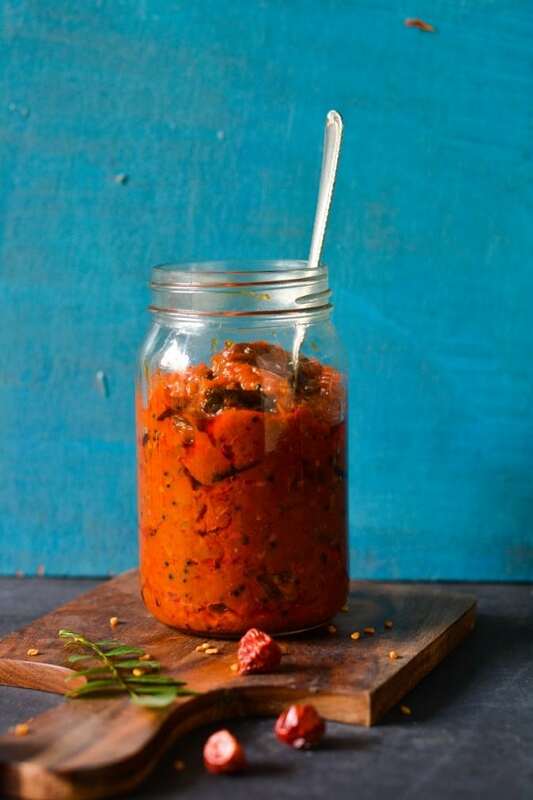 tomato pickle is a tangy delicious pickle from the Indian state Andhra Pradesh. 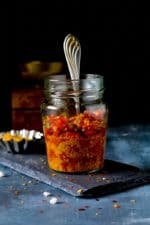 There are so many versions of making this Delicious tomato pickle with little variation of ingredients and tempering. 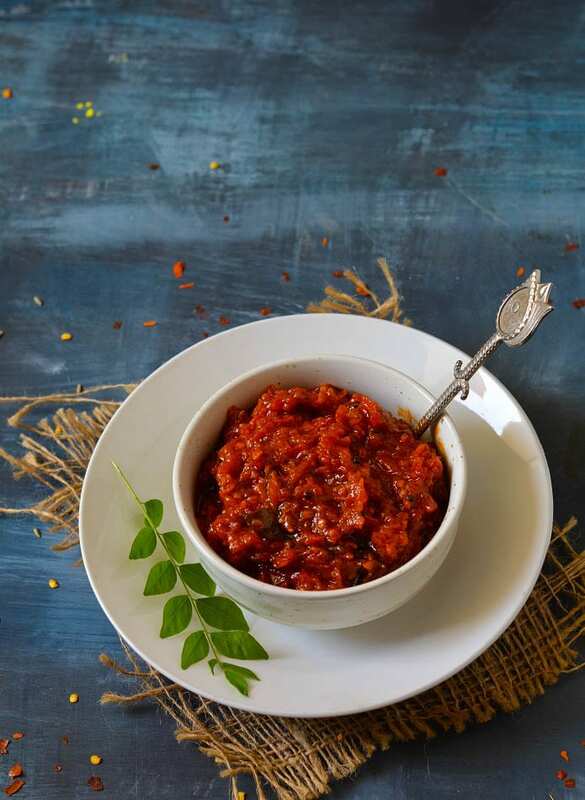 traditionally it is made with sun dried tomatoes for a long shelf life but it is an instant quick version of making tomato pickle.you can store this instant pickle in refrigerator or increase the quantity of oil used in it . 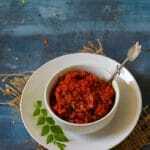 This tomato thokku goes well with almost every thing .You can serve this with Idli, Dosa, Chapati ,any fried or steamed snack or just mix it with steamed rice to make instant tomato rice. 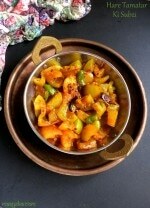 Try to use good fresh and firm tomatoes to make this tomato pickle. 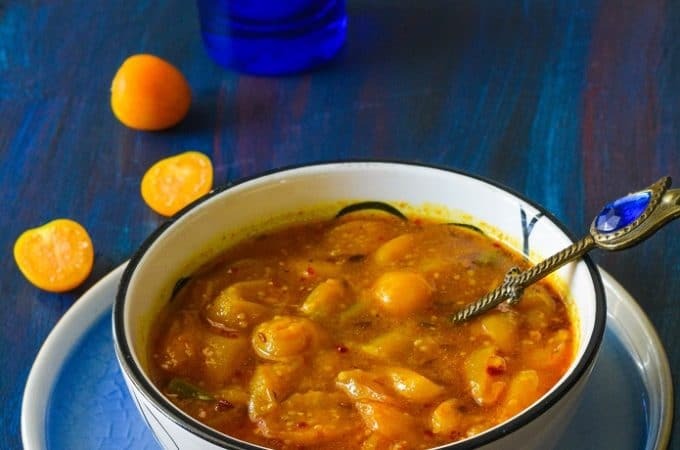 You can adjust the amount of red chili, tamarind and jaggary as per your taste .addition of jaggary is totally optional but i like adding it to balance the taste. Wash and chop tomatoes into medium size pieces. Dry roast fenugreek seeds on low heat to a nice red colour and then grind to make a fine powder. 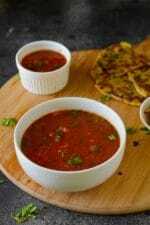 Heat oil in a heavy bottom pan and add mustard seeds and 1/4 tsp fenugreek seeds when seeds start to crackle then add curry leaves, whole red chilies and asafoetida. Now add the chopped tomatoes, tamarind and turmeric. Cover with a lid and cook on low heat till tomatoes become soft. Now roughly mash the tomatoes with a laddle and add salt ,chili powder ,jaggary ,roasted fenugreek powder and cook till it thickens and start releasing the oil from the sides. Remove the pan from the flame and let it cool down completely. 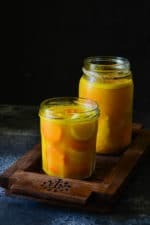 Fill it in a glass jar and keep refrigerated for a long shelf life. 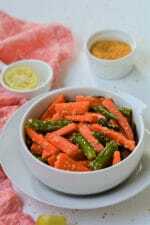 You can also add 1 tsp each of chana daal and urad daal in the tempering. 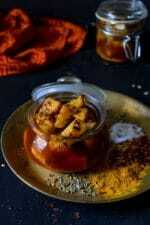 No need to soak the tamarind in water ,just add dried tamarind with the tomatoes.